2724 W Bijou Street, Colorado Springs, CO 80904 (#2656423) :: Fisk Team, RE/MAX Properties, Inc. ABSOLUTELY CHARMING 1899-BUILT WEST-SIDE VICTORIAN ON A DOUBLE LOT! Upon entering, you immediately feel at home with warmth and detailed charm throughout. Main level consists of open living room/dining room with vaulted beamed ceilings and built-in shelving. Updated kitchen features recessed lighting, all appliances and plenty of cabinets. Also on the main level are two large secondary bedrooms with double walk-in closets, 3/4 bathroom, laundry space and two family rooms... one with walk-out access to the back yard. Very private master suite with sitting area occupies the entire upper level with a walk-in closet, adjoining full bathroom and walk-out access to a cozy wood deck. Other features include: whole house attic fan, crown molding, newer electrical, skylight and sump pump. Plenty of off-street parking and room to build a garage. Fenced rear yard with storage shed, fire pit and mature trees. Walking distance to shops, restaurants, parks and more! Also nearby historic center OCC, Garden of the Gods, Red Rock Canyon, Manitou and downtown Colorado Springs. Home is used as an airbnb/VRBO (vacation rental) or it can be a personal residence. Rental history is available for review. 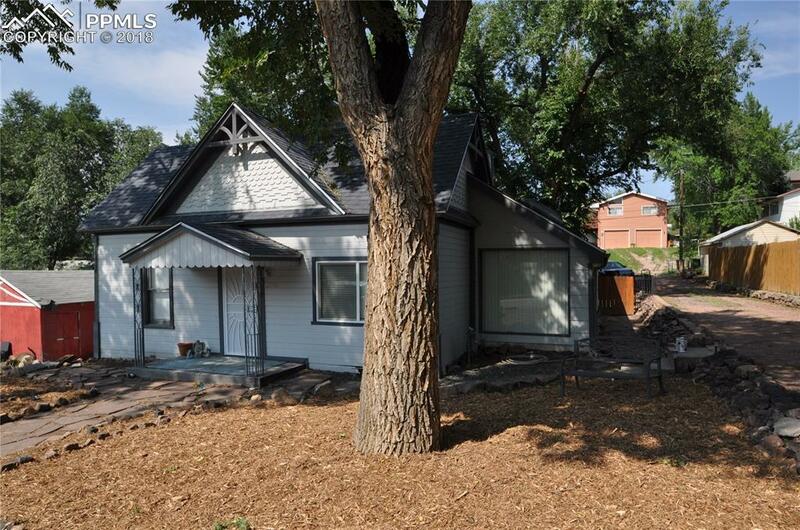 Per a previous MLS listing, main room of home built in 1899 but remaining house sits on 1980s foundation (this information to be verified by buyers).